LAL is pleased to offer a Special one day workshop with observer, artist, watercolorist Dale Popovich in the gym of the Minocqua Town Hall. Dale states "My objective is to share my knowledge, 40 years of professional art instruction. Whether you are looking for watercolor painting lessons for beginners or the intermediate artist wanting to sharpen their drawing and painting skills. I want you to walk away with a great experience and a higher, more in-depth understanding of transparent watercolor. Also, my watercolor workshops and classes are for the student to gain confidence in this beautiful medium." Check out Dale's website at www.dalepopovich.com for more information about him and his painting style. The subject focus for this workshop will be something summer, forest with river but definitely no snow! Registration deadline is May 1, 2018. A supply list will be provided to you after registration. Cost: $50.00 for both members and non-members. This will be nonrefundable. If we cancel, you will get a full refund. 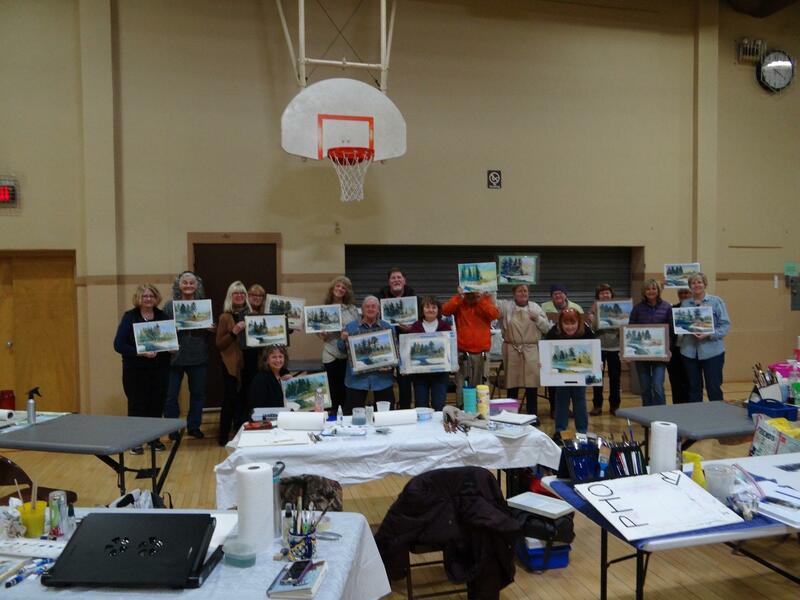 Please send a check made out to Lakeland Art League to Lisa Krueger W3985 Oakview Road Tomahawk, WI 54487. Call me, Lisa Krueger, at 715-612-5775 to register or with questions.